"Be Yourself, Together" Photo Contest! 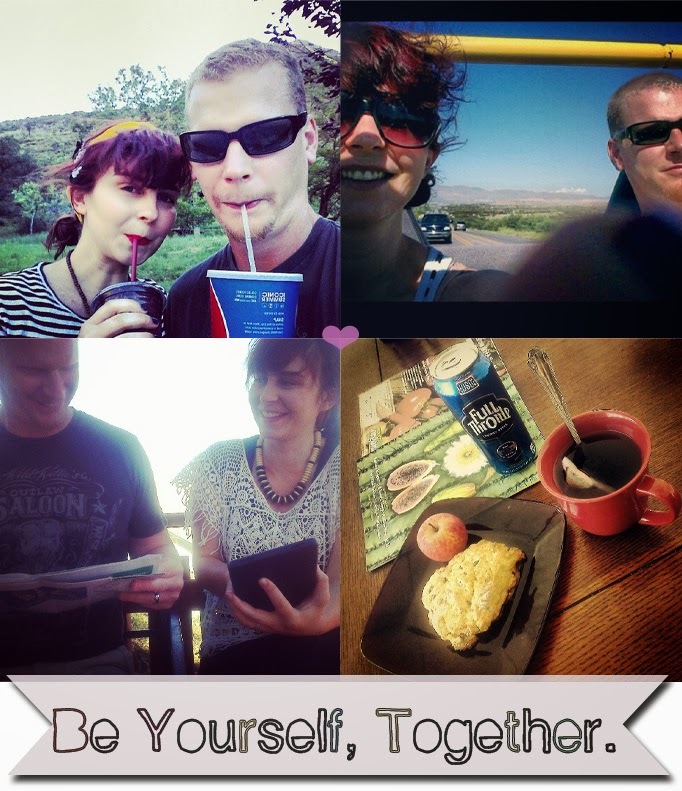 Have you heard of the “Be Yourself Together” Couple Photo Contest happening now? 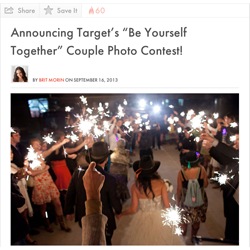 Brit Morin of Brit + Co is hosting a fabulous contest along with Target. The subject of the contest is YOU and your spouse. They'd love to see you just being your authentic self as a couple. My husband and I took a few photos of our own! We may be a great team however both of us have our own unique little likes and dislikes along with our many quirks. Join in the fun! Go to “Be Yourself Together” Couple Photo Contest" to find out all the details and how you could be one of 5 winners walking home with a $500 or a $100 gift card to Target plus some bragging rights! Photo submissions are due by 10/15!